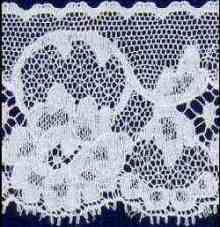 Emma Robb offers a comprehensive selection of fine French Valenciennes and Maline laces, English Leavers laces and Swiss embroideries. They are available in edgings, insertions, and beadings. Color selection includes white and ecru. Several of our Swiss laces are decorated with pastel embroideries. Please select French, English or Swiss laces from the menu on the left.